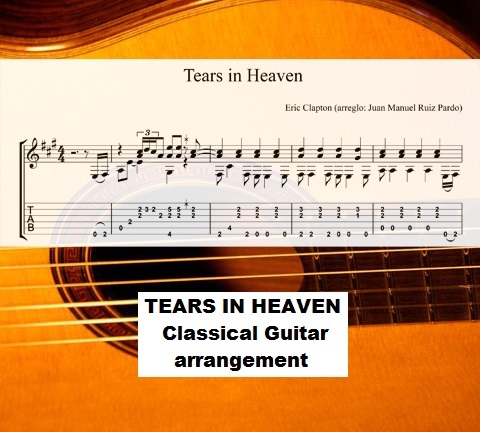 How to play the famous Eric Clapton song “Tears in Heaven”. A tragic incident made Eric Clapton compose this beautiful song. It was Clapton’s best-selling single in the United States. Juan Manuel Ruiz Pardo re-arranged it for classical guitar.